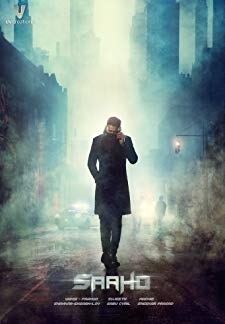 © 2018 Scratchu.com Saaho | Shraddha Kapoor, Jackie Shroff, Prabhas, Mandira Bedi, Mahesh Manjrekar, Neil Nitin Mukesh, Narendra Jha, Arun Vijay, Aditya Srivastava, Chunky Pandey, Brian Nathan, Bharat Bhatia, Asif Ali Baig, Sunil Vishrani - Saaho (2019) | Telugu Movie | 5.0/10 | Synopsis : Saaho is an action film starring Prabhas and Shraddha Kapoor in lead roles. Prabhas is playing gray-shaded fictitious cop role. Neil Nitin Mukesh, Evelyn Sharma and Mandira Bedi are playing other important roles.... Watch Online!! !